A NEW bar is coming to Fremantle. The National Hotel will open a rooftop bar in about October. 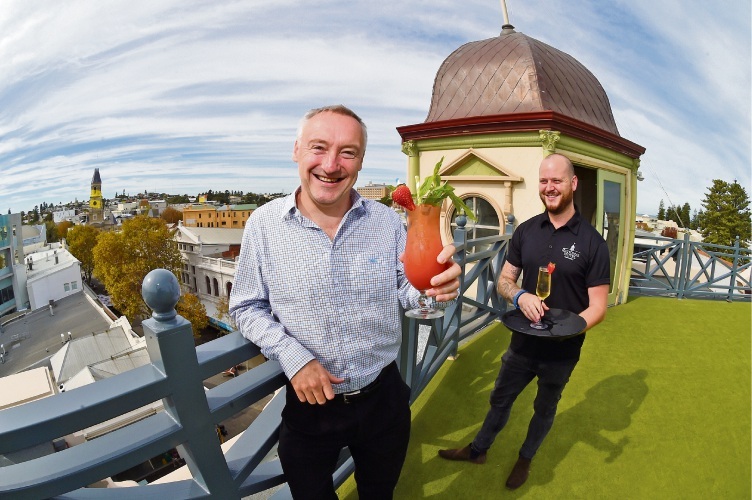 Owner Karl Bullerssaid the idea for a rooftop bar had always been a plan. “It was one of the reasons for buying the building, the views are stunning from the roof and totally unique,” he said. “I’ve been planning for this since the building was purchased six years ago. Mr Bullers said the bar would not be themed. “The views are the theme, you have a totally unique perspective of Fremantle from above,” he said. “There are no other rooftop venues in the centre of Freo, it arguable has the best views; 360 degree views over the port and out to Rotto. “It will be a relaxed vibe serving food and beverages. “We will be hosting special events, functions, weddings and be open to the public on an ad hoc basis. The hotel owner said the announcement of the bar opening has had a positive reaction. “I have taken many people up there for history tours and always get a strong reaction because it is so unique,” he said. Mr Bullers said the hotel accommodation was also being built. “Twelve ensuite high quality heritage rooms, some with verandas and others in the eaves of building (are being built),” he said. “Hotel guests will have full access to the bar. “I hope the opening will be around October.